Great wines are such a pleasure to drink with robust food. This Howell Mountain Cabernet just begs to be drunk with a succulent ribeye or New York strip. 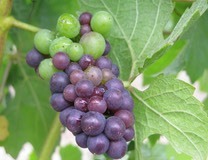 The initial nose is one of deep plums and blackcurrant, there is even a hint of mocha and pepper. We left this to breathe for about an hour and were rewarded with a great smooth taste with flavours of ripe fruit, lush tannins and a hint of sharp acid to help bring out the best in the steak. One worth laying down in my opinion.